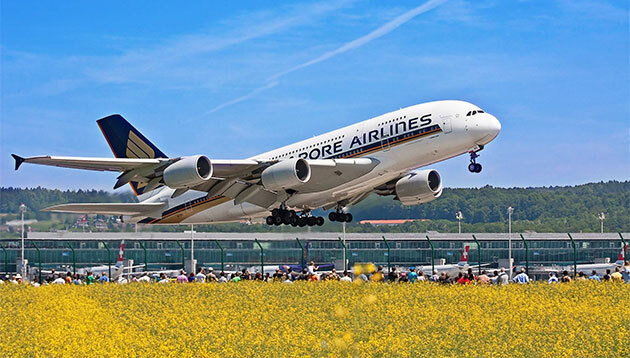 Singapore Airlines has appointed TBWA and PHD for global creative and media duties, following a six-month pitch process handled by R3. The appointment will take effect from 1 April 2019 and the contract will be for five years. The appointment follows a competitive selection process initiated in August 2018, which saw a total of 11 agency groups bidding for the business, including incumbent agencies for creative and media services, TBWA and Zenith respectively. The second round of shortlist saw consortiums DDB and Omnicom Media Group; TBWA and PHD; and Dentsu Aegis Network vying for the account. Meanwhile, the initial shortlist also included Team WPP (comprising JWT, VML, Superunion and Mindshare) and Publicis Groupe. “As we carried out our review it was clear that our underlying branding approach, which consists of the iconic Singapore Girl and an emphasis on customer service as a crucial differentiator, remains current and continues to set us apart in our industry,” Singapore Airlines senior vice president sales and marketing, Campbell Wilson said. “We are confident that TBWA and PHD will now be able to creatively execute that promise with a more modern touch, bringing about an evolution in our branding and marketing communications,” he added. “What an honour to have been reappointed as SIA’s global agency of record together with our media partner PHD. I’m extremely proud of the synergy of both teams; for us, success was an only option and our persistent passion, energy and ambition for the SIA brand won in the end,” Ara Hampartsoumian, managing director, TBWASingapore said. “We are thrilled to evolve our longstanding relationship with this iconic brand, partnering with them as the airline continues to modernise and transform its business for the future. We look forward to developing innovative and integrated marketing solutions that will continue to strengthen their preeminent position as the greatest airline in the world,” he added. James Hawkins, CEO of PHD APAC said this appointment is a “testament to the strength of PHD and TBWA’s integrated approach”, and has allowed the agency to unlock its media and creative, and deliver the fresh thinking to take a brand such as Singapore Airlines to greater heights. “As one team, which we have called SQ1, we look forward to leveraging the best of both our capabilities in driving innovative and impactful communications for the airline,” he added. According to earlier tender documents, the agency appointed will be required to have capabilities to “service all of the local markets through a hub model”. This means the agency needs to have at least one office in each of SIA’s regional hubs including Southeast Asia, North Asia, Southwest Pacific, Europe, West Asia and Africa, and the USA. How should the Singapore Girl evolve? With the conclusion of the pitch, the debate about the Singapore Girl being a suitable icon for the airline has once again started. Nonetheless, SIA has shown interest in evolving the Singapore Girl with the help of its newly appointed agencies. The real question is how the Singapore Girl can be made more salient within communications for a new generation of travellers and a new era of commercial flight disrupted by extreme competition, technology and service innovation. While applauding the airline for addressing the Singapore Girl’s brand value, Hitchmough said that the airline should focus more on the provenance and personality of the Singapore Girl itself. This includes areas such as the spirit and ambition that drives young girls to fly, the countless hours of training and female pilots. Other aspects SIA can potentially focus on also include how Singapore as a nation was able to create such a “nuanced, unmistakable and world-renowned flight experience”. “These are all stories – today more than ever – that probably deserve to be told and would help carry Singapore Airlines and the Singapore Girl forward to a new era of greatness,” he added. Meanwhile despite the central role of the Singapore Girl in SIA’s branding, Andrew Crombie, managing director of Crombie Design has been present but “trivialised” in advertising and content portrayals, adding that the Singapore Girl is “almost completely absent” from some recent efforts depicting the SIA experience. According to Crombie, the Singapore girl is “a brand asset with a larger role to play” and to evolve, she needs to be made more “contemporarily relevant” by elevating her contribution beyond the superficial portrayals and acts depicted in the airline’s recent communications. This could include expanding the portrayal beyond the “coat carrying, drink serving and mindless smiling” and into more updated service areas expected by today’s travellers, without losing the charm and warmth of her presence. As a branding concept, the Singapore Girl concept has become “less distinctive” and “a little dated or two-dimensional” in its delivery. Crombie said that it is important to retain the Singapore Girl as she has been the embodiment of Asian hospitality for 50 years, from the distinctive sarong kebaya to her graceful and prescient service manners. “The Singapore Girl was always the ‘human’ component of a complete service offer, which also relied on ticking the physical experience and technological leadership boxes for well-heeled travellers. She represented the ‘soft’ side of the experience as a counterpoint to the ‘hard’ edge of technology – both of which are required,” Crombie said. Also weighing in on the issue is Simon Bell, managing director, FITCH who said that over time, SIA has invested in the Singapore Girl narrative and symbol, which is linked directly to SIA’s experience signatures, and beyond just food and locations. The symbol is front and centre and not taking a back seat – and neither should it. “Communications between airline brands is very similar. Happy passengers, arriving on-time to amazing locations and eating fantastic airline food along the journey. Often the airline’s origin takes the limelight, and differentiation in this category is a tough task,” he added. The Singapore Girl is a sacred brand asset, Nick Foley, president Southeast Asia Pacific and Japan, Landor said to Marketing, adding that SIA as a brand has not “moved much” in recent years. Looking at it from an engineering angle, Foley said that the airline has moved forward in terms of establishing the longest flight route and its investment in a new fleet of airbuses. However, its brand needs to take front and centre again. With the appointment of the two agencies and its new approach, Foley added that looks to see the brand moving forward with the Singapore Girl underpinning future marketing initiatives. “The Singapore Girl needs to be much more prominent in all new communications for the brand. Just as the Golden Kris on the tailfin of SQ jets signifies trust in one of the world’s best airlines, so too must the Singapore Girl signify a level of unparalleled service that travelers can look forward to from the moment they book their trip with the airline,” he said. Sapporo Breweries appoints Initiative, EDB looks for social media agency plus more. ..